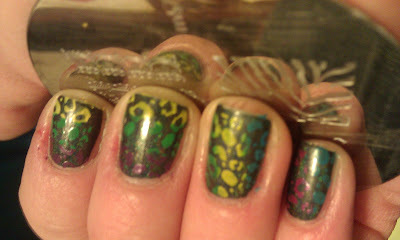 Let There Be Lacquer: Rainbow Leopard Print! Wearing my black holo polish made me really want some color. All colors actually. 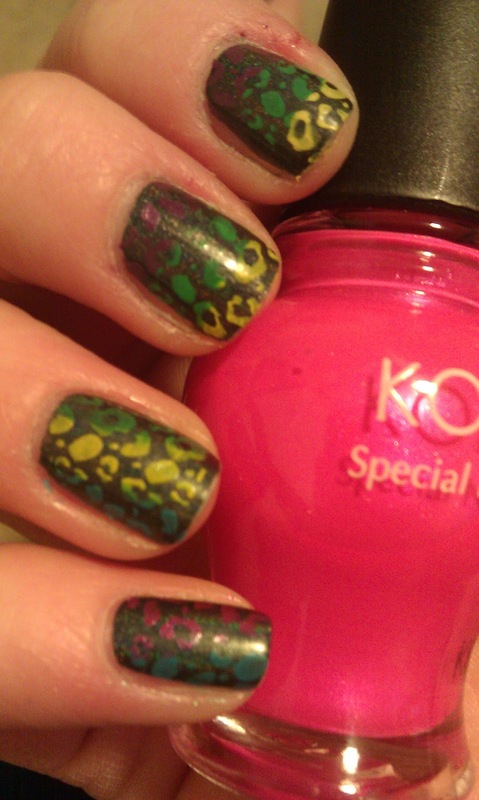 So I broke out the old konad m57 for some animal print. I was thinking zebra but I ended up with leopard print in many colors over my black holo! I like it! Its fun and bright and perfect for breaking out of the winter blues. I stamped with konad yellow, light blue, purple, bright pink and green with Konad m57, standard stamper and scraper. No Topcoat over stamping. Hope you like! More Stamping coming!